Andy Warhol painted a lot of glamorous figures in his day, but the work he's most famous for may be his iconic screen prints of the classic Campbell's Soup can. According to The New York Times, after seven of his soup-centric prints were stolen from a Springfield, Missouri museum last month, the FBI has announced that they'll reward up to $25,000 to whoever aids in their recovery. The prints (Black Bean, Chicken Noodle, Green Pea, Tomato, Onion, Vegetable, and Beef) are believed to have been stolen from the Springfield Art Museum during a break-in early on the morning of April 7 (the museum doesn't have overnight security). They were seven of a set of 10 Campbell's Soup pieces that had belonged to the museum since 1985. According the FBI, the full set of prints is estimated to be worth around $500,000. While the collection has long been a highlight of the museum, they're not the same prints that shook the art world in 1962. 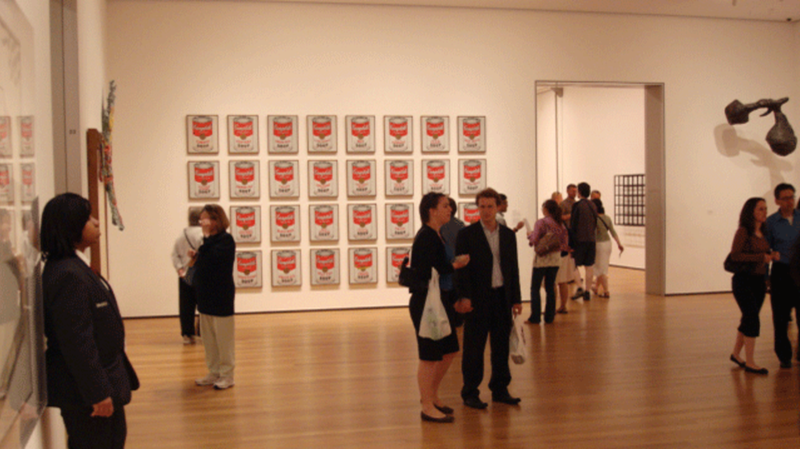 Warhol's series Campbell's Soup 1 was created about six years after his original set of 32 Campbell's Soup Cans reached icon status. Those prints were acquired by the Museum of Modern Art in 1996. If part of that multi-million dollar series was ever stolen, you could expect it to fetch a much heftier reward than the Springfield prints currently missing. Anyone with tips regarding the whereabouts of Warhol's stolen soup cans can contact the Springfield Missouri Police Department.